The Yoshino cherry trees in Brandywine Park, surrounding the Josephine Fountain, will explode to life. 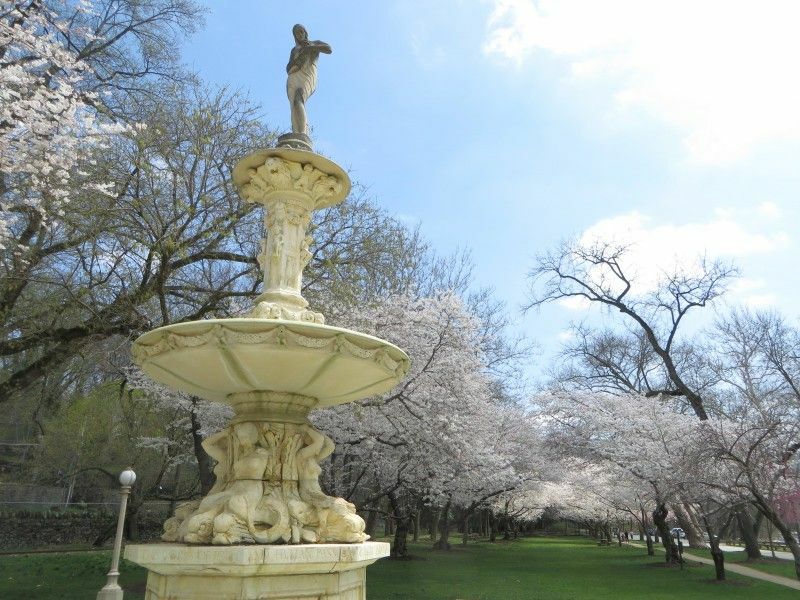 The cherry trees were planted in 1931 and the fountain, dedicated in 1932 to the late Josephine Tatnall Smith by her husband J. Ernest Smith. Photo by xzmattzx.